Hooray, he’s useful and having a wonderful time! 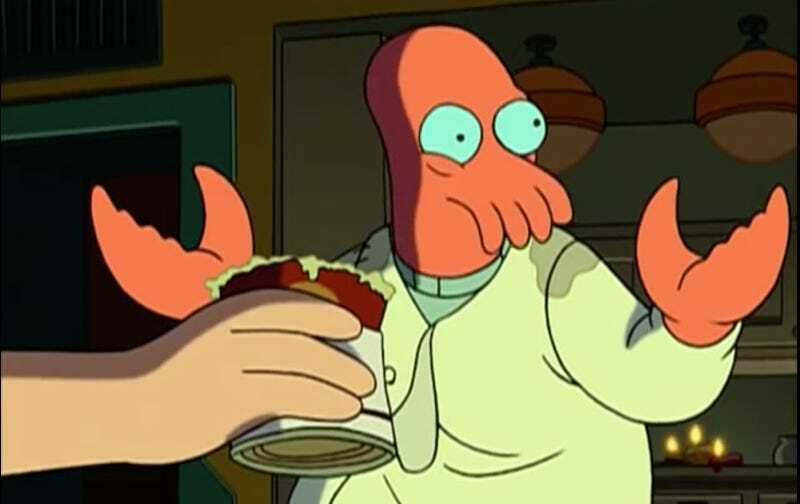 Almost 10 years after their Comedy Central revival, the cast of Futurama will reunite at the ATX Television Festival. Well, most of the whole cast—as Entertainment Weekly reports, Billy West, Maurice LaMarche, Phil LaMarr, and David Herman will do a table read, followed by a Q&A, with showrunner David X. Cohen. But that’s still everyone from Professor Farnsworth to Dr. Zoidberg, as well as many characters not voiced by Billy West. There will also be some special guests at the panel presented by Hulu, which, as the current digital home of the animated series, is presenting the reunion. Futurama’s programming history has been as bumpy a ride as any taken by the Planet Express employees—it’s had four series finales. The Matt Groening show lasted four seasons on Fox before the network just let production lapse (though it was never formally canceled). Comedy Central picked up the syndication rights before ordering new episodes in 2009, but canceled the show in 2013. Last year, Syfy acquired syndication rights to all 140 episodes. ATX Television Festival runs from June 7 through June 10.